Ayden has a large extended family and with family friends also coming to the party, there needed to be enough cake to go around. 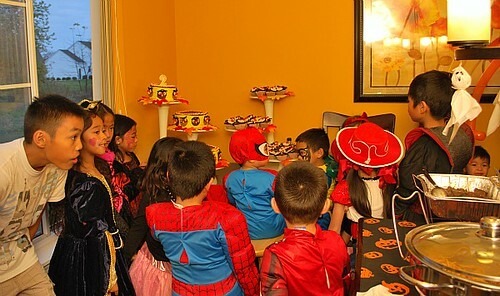 The three tiered cake and a cupcake tower was perfect to serve all their guests. In fact, both kids and adults enjoyed the displays. Kids loved grabbing a cupcake on the go while they ran around playing with each other and the adults liked the traditional serving of cake. 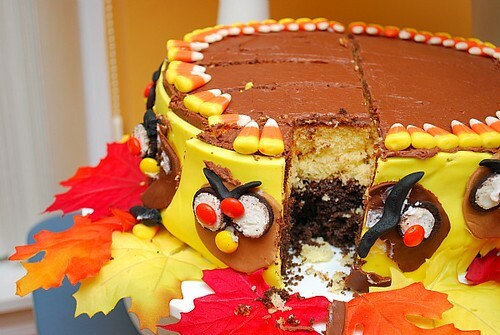 The tiered cake consisted of both a classic yellow butter cake layer and a rich chocolate cake layer, fused together with a creamy chocolate buttercream frosting. 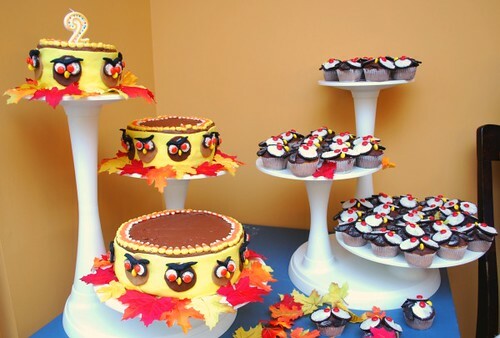 I covered the sides of each cake in fondant and made small owls with fondant, Reese's Pieces candies and mini Oreo cookies for the decor to mimic the cupcakes. 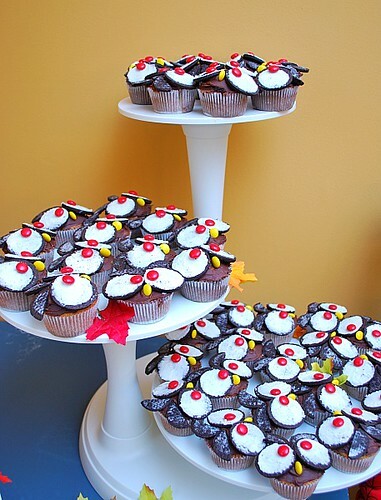 I used candy corn as a top border for the cakes to highlight the colors of fall, the Halloween season and it went perfectly with the color scheme. Lastly, the bottom border was fall colored leaves, taken from craft flower/leaves stems. 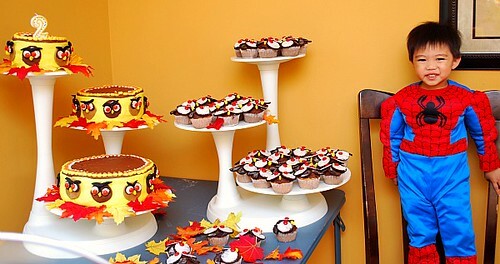 To decorate as Owl Cupcakes: Check out this great video tutorial! wow you did an amazing job with the party! 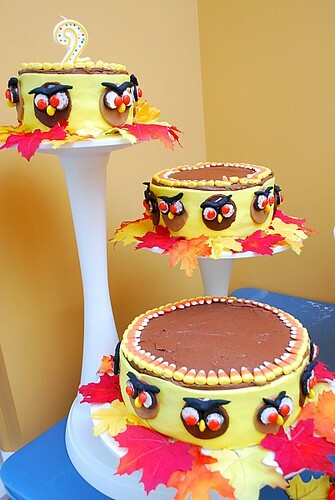 great looking cakes! The cakes are adorable! What a cute idea! LOVE.